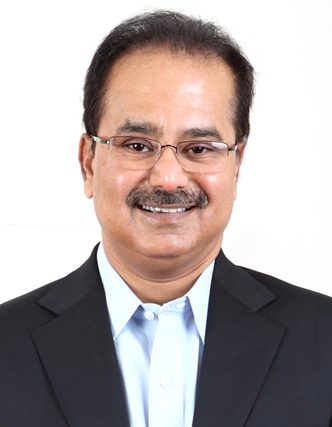 Dr Reddy’s Laboratories (DRL) was promoted in 1984 by Anji Reddy, a pioneering scientist-entrepreneur, as a manufacturer of bulk drugs or active pharmaceutical ingredients (APIs). Over the last three decades, DRL has emerged as an integrated global pharmaceutical company offering a wide range of products including APIs, generics, biosimilars, and differentiated formulations. Nearly 80% of the company’s revenues are derived from overseas markets that include the United States (US), Russia and Commonwealth of Independent States (CIS) and Europe, apart from other select geographies within emerging markets. 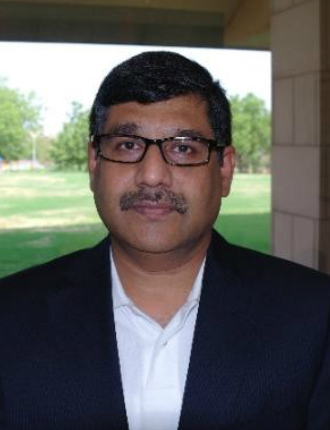 G V Prasad is current Chairman and Chief Executive Officer (CEO) of DRL and is widely considered the architect of the company’s successful global generics and API strategies. Following are select excerpts from a conversation on DRL’s organic and inorganic internationalisation strategy that he had with Professor Raveendra Chittoor of ISB. Before looking specifically at DRL’s journey, it is worth noticing the tremendous internationalisation of many Indian companies in the last decade or so. What do you think are the triggers for this rather sudden change? You say a lot is happening but I feel not enough is. We in India are in the early stages of this journey, so we are seeing a lot of activity. But honestly speaking, I think we are in the very early phases of globalisation. We have very few products which are global brands today. Of course, there are company brands in information technology (IT) services etc. But fundamentally, we are exporting commodities, and we have really not established our innovation capabilities in the world. Having said that, let me answer your question about why companies are going increasingly international. India was a closed market for many years. Just getting an industrial license was a huge process until the 1990s. Even now, doing business in India is very, very tough. We are ranked abysmally low in terms of the ease of doing business. Competing in a market like India really builds muscle. When a company is successful in India against all the odds, I think it is able to compete in very adverse circumstances. So it has a natural advantage when it goes international and competes in more favourable regimes. Successful companies in India are taking this strong in-built competitive advantage to the world today and finding better markets. Companies internationalise for different reasons. One is, of course, growth. It makes sense to market your product everywhere that you can. And access to customers and markets is one important element of globalisation. I think for the IT industry, the markets are in the West and they are seeing this huge labour – intensive work shifting to Asia – India and China. When a company is successful in India against all the odds, I think it is able to compete in very adverse circumstances. So it has a natural advantage when it goes international and competes in more favourable regimes. The other reason why we are going international is to access technologies, capabilities and infrastructure. In fact, we bought a factory in the US. We are shifting manufacturing from India to the US, and it is working quite well for us. So I think each industry, each sector is going international for different reasons. Can you describe the internationalisation process of your own company? Today DRL is a US$ 2.5 billion company. But it started in 1984 as an active ingredients manufacturer of what we call bulk drugs. The founder, Dr Reddy, was a chemical technologist experienced in the public sector unit of Indian Drugs and Pharmaceuticals Limited. From there, he emerged and started several entrepreneurial ventures and ultimately ended up with DRL. Sometimes, instability offers you an advantage. Venezuela today is a great market for us in a counter- intuitive way. A lot of western companies have moved out, creating a vacuum. Those were the days when India had import tariffs upwards of 100%. And people who could develop technologies and manufacture products could make good money. But with competition, companies had to look for growth internationally. So just after three or four years of our existence, we started exporting — first to traders. The pharmaceutical trade was centred around Hamburg. Then you had Switzerland and Spain as trading centres. These were places where traders used to import from India and then redistribute around the world. That is how the Indian pharmaceutical industry started its internationalisation journey. This happened in the late 1980s or early 1990s. Then, we started realising that these trading companies were really exploiting the information asymmetry. As we were looking at creating greater value for our companies, we started going directly to customers internationally. Today it all sounds very archaic – going to customers sounds like something we should have done in the first place. But in those days, it was pioneering to go international when we had limitations on everything, including the foreign exchange that we could draw. So the first step of internationalisation was primarily going and meeting customers. Then from there, we moved on to opening representative offices in key geographies, such as the US, Europe, Russia and so on. Along the way, we moved up the chain from pharmaceutical ingredients to finished dosages. India and Russia had a lot of very strong defence links and there was always this Rupee-Ruble counter trade. We always had a Ruble surplus because we used to buy a lot from the erstwhile Soviet Union. They also bought many goods from India – largely commodities such as coffee, tea, cigarettes, rice etc. Drugs and pharmaceuticals were then added to the list and Russia became a big market for Indian pharmaceutical companies. Meanwhile, the generics industry started growing in the US and they started sourcing products globally, active ingredients from India, China and other countries. The Soviet Union collapsed and moved to a free market economy. We started our internationalisation journey in the decade of 1990s, by setting up representative offices. Then slowly we moved up the value chain by beginning to acquiring internationally. I think we made our first international acquisition in the year 2002. This was a small company in the United Kingdom (UK). We did it to really get a foothold in the UK market, using this small acquisition as a base. After that, we started a series of acquisitions. We went and acquired a site in Mexico from Roche, and then we acquired a site in the US BASF. We acquired Betapharm, a big German generic company. We acquired the Dow Chemicals facility in the UK. It includes a research facility in Cambridge and a manufacturing facility near Manchester. Most recently, we announced a technology capability acquisition in the Netherlands called OctoPlus. Overall, this has been our globalisation journey. Initially, we started by exporting products. Then we moved to opening our own offices worldwide. After that is when we began our inorganic growth and commenced creation of global sales-forces. How do you decide which markets to enter? We look at markets which are attractive from an ease of entry perspective and at our own ability to compete. For example, the transparency of the regulation, the orderliness of the trade, the size of the market — all these make the US the most attractive market in the world. The US was a natural choice. Russia became very attractive to us for specific reasons. It was on the cusp of political turmoil and change as Gorbachev arrived on the scene and unrolled Glasnost and perestroika. A centralised economy was transforming itself to a market-driven one; we just rode the wave. Today it is a very, very attractive market for us, and we have a very strong brand presence in Russia. South Africa is another good example. It was another country in transition; we were there quickly after the transition. As the economy opened up, we participated in that. So ease of entry and our ability to make a difference are important factors, in addition to our ability to compete and the attractiveness and size of the opportunity. For example Indonesia is a very large market but there is no opportunity for us to make a big difference there. The local industry is well entrenched. So we did not enter Indonesia. We actually learnt our lessons as we started internationalising. In the first few years, we went haywire and went to about 40 countries. The complexity of serving so many markets became over whelming. Then we rationalised our international presence. We sharpened our attention on five main markets and ten secondary markets. That brought in a lot more focus and simplicity to our strategy and it has been working very well for us. Internally, we have decided that we will not be very broad-based in our product offering. We will remain narrow and target products with a high degree of scientific complexity. Largely, we are the first or the second to get into a segment, but not the tenth. There are a lot of generic firms, Indian as well as the rest, competing hard for global markets. How do you cope with this competition? We differentiate ourselves in the global market in two ways: basically through the choice of customers and the choice of products. We have customers of two kinds. One is the business-to-business (B2B) kind of customer – the distributors. Then we have the end- users as customers in the branded markets. In Russia, we go directly to the customer. In the US, it is B2B. In the B2B markets, we select customers who are long term in nature and who require a very high level of service. We avoid transactional customers, the ones who come only for price. In the branded markets, we choose therapeutic areas (TAs) where we can make a difference. So we select a subset of doctors in our TAs and we make a customer choice. We also make product choices. Internally, we have decided that we will not be very broad-based in our product offering. We will remain narrow and target products with a high degree of scientific complexity. So we tend to be in product markets where there are not many companies participating. Largely, we are the first or the second to get into a segment, but not the tenth. When it comes to actual mode of entry into different markets, you have adopted various approaches – exports, acquisitions and greenfield entry. How do you choose the appropriate entry mode, particularly acquisitions? The one big acquisition that we did for market entry was the acquisition of Betapharm in Germany. Everywhere else, we first established an organic presence or established a partnership and learnt more about the market before making an acquisition. The big bang acquisition in Germany was, in retrospect, a mistake. We acquired a company as an entry strategy without understanding the local markets and without fully understanding how the legislation was evolving. But now we very clearly know that we won’t acquire a company before we understand the market in great depth. So we invest in learning about the market, either through an organic presence or through a partnership. We build enough knowledge and only then, will we make our inorganic move. We plan to have direct presence in Tier I markets, and would be willing to invest in inorganic growth after learning about the market well enough. We will either work directly or through local relationships in Tier II markets. Then there is another group of markets where we are not present directly but we have partnerships. For example, we have a very broad partnership with GlaxoSmithKline. GlaxoSmithKline has the critical mass in many, many markets where we don’t have a presence and we probably never will. We are leveraging their presence by distributing our products with them. Acquisitions are very, very risky. The execution risk in acquisitions is much higher than in organic growth because there are very few factors that you can control once an acquisition is made. What in your view is the right way to do acquisitions? I am asking this question because acquisitions by many companies have been found to destroy value. Acquisitions are very, very risky. The execution risk in acquisitions is much higher than in organic growth because there are very few factors that you can control once an acquisition is made. First, I think the company should be very clear about why it is acquiring at all. Today, we spend a lot of time writing down the hypothesis for the acquisition and the rationale for it, without get carried away by the size. Acquiring for size is a stupid approach, according to me. I think you need to acquire only when you can take the asset and create much greater value than before. Two plus two can become six or seven if you have a very strong strategic rationale and approach for what you will do with the acquisition. I think our approach to acquisitions has changed post-Betapharm. We do a lot more thinking about why we should acquire, what we should acquire and then we go ahead and search for targets. Also we are clear and better prepared to react when an acquisition opportunity comes along. What I now say applies only to DRL and may not be applicable to other companies. We have done a series of acquisitions and every acquisition has added value for us, except Betapharm. The first acquisition in the UK was a very small acquisition, but it helped us to get a foothold in the UK market. In Mexico, we acquired an API company, which was an unloved asset. This asset used to belong to Roche to manufacture products whose patents had run out. They were just running it to maintain employment. So we got the facility for a song. We bought it for a quarter of what would have taken us a hundred million dollars to build. It was counter- intuitive to produce APIs in Mexico, so nobody bid for it. With this asset, we got huge capability, infrastructure and a portfolio of global customers. This whole acquisition paid for itself in six months and was a great success. Then we acquired a facility in the US from BASF, again an unloved asset. We wanted North American infrastructure to serve our customers better through proximity. Some customers were saying that they would like us to have local facilities to assure supply from a North American source. And so it fit into our business model very well and as a result of it, we got a lot of new business from existing customers. We acquired a technology centre in Cambridge, UK. This was a capability building acquisition. It constituted a portfolio of technologies, a group of scientists and a location that was a magnet for scientific talent. We have now made it a Centre for Excellence for DRL. We acquired Betapharm as we wanted to be a leading player in the European generic space. Betapharm was the fourth largest generic player in the German market, which was a branded market and also the largest generic market in Europe before it turned. After we acquired the company, the market started changing from being a branded market to a tender-driven, commodity market. We got caught in the downward spiral. Recently we acquired OctoPlus, which is a boutique pharmaceutical development house, located in Leiden outside Amsterdam. Leiden is a biotech hub. This acquisition is similar to the Cambridge one, for research and development (R&D) capability in the finished dosage space. If the Cambridge facility was in chemistry, OctoPlus was in drug delivery. We are creating a global network of R&D centres; we will leverage local talent and technologies to create unique products. This is our thinking today, acquiring for capability building. Thank you, that was very insightful. Do you have a standard process for post-acquisition integration, which is considered to have significant bearing on the value created by an acquisition? We standardise certain aspects but we don’t codify everything. For example, we have a strong process for integrating IT systems. We integrate the financial governance. As we are a US listed company, we are bound by the Securities and Exchange Commission (SEC) and we are very careful about compliances and corporate governance. These aspects are standard. We just get them done quickly, within a week. But we are flexible about managing people, culture and so on. In some cases, we integrate completely because it is important. In some cases, we don’t integrate. We let them have their own culture because it is very valuable and we want to preserve that. This is especially true in the R&D acquisitions where we want to preserve the work culture, the scientific temperament and the talent we have acquired. We draw people from various disciplines and put together a cross-functional team to integrate. We decide what to integrate and what not to integrate on a case-to-case basis. In fact, even before we make the bid, we decide how we will integrate. So when we have created the rationale for the acquisition and the hypothesis for value creation, we know exactly what we will do post- acquisition – whether we will go in and take costs out or go in and expand the group – and who will be responsible for integration etc. How do you address and prepare for the challenge of multiple cultures involved in internationalisation? We do have a large number of people with global experience today. This used to be a problem, but we consciously upgraded our managerial capabilities. Today, I think many members of our senior management understand global cultures. If an Indian company wants to become truly global, do you think a different, global mindset is needed in the leadership team? I will not call it “truly global” or Indian. But I think we have to be excellent at what we are doing. We have to be at the top of our game. And often times, this is a challenge. We are serving some of the top markets of the world where quality needs are higher than Six Sigma. your products need to be world class in every aspect. The biggest risk for Indian companies is the propensity to take a short cut and do something as an expedient, as opposed to working on the cutting edge and world class. I think a commitment to excellence is, very important for an organisation today if you want to succeed at the global level or even in domestic markets for that matter. Co-Chairman & CEO, Dr. Reddy's.